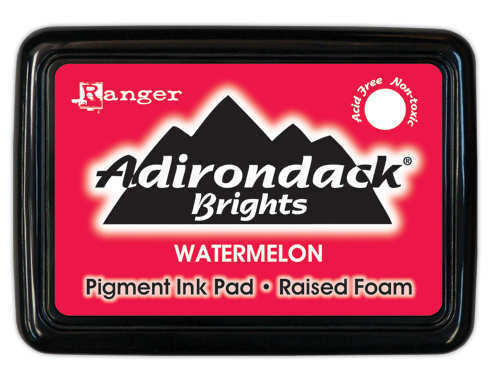 Adirondack pigment pads are perfect for stamping and embossing techniques of scrapbooking. They are slow drying inks – thus ideal for embossing where longer duration of drying is necessary. Adirondack pigment pads give rich opaque coverage. They air-dry on matte paper but on glossy paper, shrink plastic, vellum, metal or glass, a Heat gun is necessary. The convenient, fully removable lid allows you to ink stamps easily and color projects direct-to-surface.